We are getting ready to travel Australia for an indefinite period of time. Planning for this has been underway in one way or another for almost four years now. We have our vehicle paid off and have just a couple more things to add to it before we leave. We took delivery of our NextGen caravan in August and our kids have both finished school. 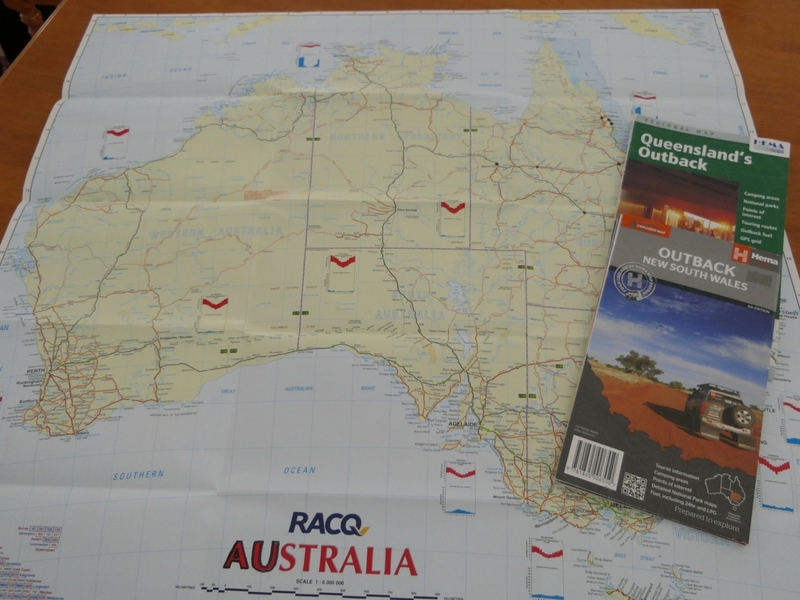 Planning a lap of Australia is a big undertaking. There is so much to think about. We have finally made a decision about our house and it will go on the market in the coming weeks. So now I feel it’s time to turn my attention to some smaller, more personal details like our health and also making sure we have our ‘affairs’ in order should the unthinkable happen. There are so many things to do before you travel Australia and sometimes things like our health care aren’t at the top of our lists. Do you have on-going health care needs or are you just way over due for a general check up? Or do you suffer from a chronic or long term health condition? Either way I would recommend going to visit your regular doctor and having a thorough check up before heading off on any long term trip. For the ladies you might want to consider having a pap test or a mammogram. Everyone should have a skin check done as well. Parents should ensure that their kids childhood vaccinations are up to date as well. TIP: Everyone should also consider having a tetanus shot. Camp site injuries happen a lot and it’s best to be covered just in case. If you require regular medication, ask your G.P if they will give you extra repeat scripts. Most pharmacies will allow you to get extra scripts made up if you tell them you are travelling. Or you can ask your doctor to give you a Regulation 24 prescription which means that you can get all of your scripts filled at once. This is a great idea as some medications may be difficult to obtain in regional areas. If you wear glasses like I do, have an eye test done as well. At the same time, obtain a copy of your glasses prescription so you can easily have them replaced if they get damaged or lost. TIP: I keep my old glasses as a spare pair as I would not be able to drive or read without them. Get a copy of your medical history from your Doctor. Know a bit about your partner or children’s medical history so you can pass this information on if need be. Keep a list of medication that you require and the dosage. Carry spare scripts where possible. Store your medication in an easily accessible spot in your car or van. Keep medications in an air tight container to prevent dust or moisture getting in. Some medications may also need to be stored below a certain temperature so may need to go in the fridge. A small cooler bag with an ice brick can also be used if need be. Keep photo copies of your Medicare Card and Private Health Insurance Card. Medicare Cards expire so make sure this isn’t set to occur whilst you are travelling. Obtain Medicare cards for older children (over 16) who aren’t travelling with you. If you are heading into remote areas carry enough medication to last for the whole of your trip. Some medications that are ‘disease specific’ may not be available in some remote areas or may cost substantially more. Sign up to My Health Record via the my Gov website. Nobody likes to think about dying, but it is a fact of life. We have two kids and a very small extended family. If something were to happen to us, we want to make sure that, even though they are young adults, they will be provided for. As such we have a couple of life insurance policies. This includes a policy each attached to our superannuation. We have also had wills done up for a number of years and we updated them a couple of years ago. You can write your own will by purchasing a Will Kit or you can get a Solicitor to do it for you. You might also like to appoint someone as your Power of Attorney so as decisions can be made about your care should you be unable to do so. Talk to this person about what your wishes are as well. I’m sure I will think of some other things that I will need to do, but I think the above list is a great place to start. Can you think of some other things to do before you travel Australia? One tip I would recommend is to take a photo with your phone of all medications you & your partner/children take. This is invaluable if there should be an accident/incident and an ambulance is called. You will be asked what medications the patient is taking, if you have a photo it is easily accessible as normally you would be carrying your phone. The accident may happen when you are out hiking and don’t have easy access to the actual medications. That is a really great suggestion Jo…especially if someone is on multiple medications. It’s always hard to remember the names and the dosage. On your iphone you have a health app which you can list all medications, conditions, emergency contacts etc. This app can be accessed by emergency services should the worst happen. Not sure if they have something similar on Samsung/Android. Another good option is a road id (www.roadid.com/) these are wrist bands that can give emergency services basic information and contact numbers these are also fully personalized. Great tip Deb….I’m sure there is something similar available on Android. Lots of apps around for health stuff in general.